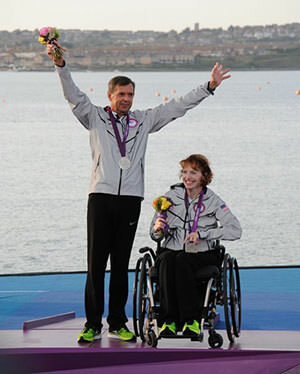 Jennifer French, a quadriplegic and competitive sailing athlete who recently medaled at the 2012 Paralympics Games in London, has release her new book,On My Feet Again: My Journey Out of the Wheelchair Using Neurotechnolog. On My Feet Again is the inspiring and intellectually stimulating story of how a determined and resourceful young woman overcame many of the obstacles that came her way after being paralyzed in a snowboarding accident. 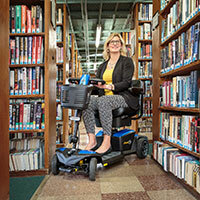 Although told she would never get out of her wheelchair, Jennifer refused to accept that fate and sought out experimental new technologies for people with spinal cord injuries. She became a participant in a clinical trial of a neuroprosthetic system that enables her to stand up out of her wheelchair and move around on her own two feet using her own muscles, which are stimulated by 24 surgically implanted electrodes. Along the way, she helped advance the technology by working with the research team to test new features, push the limits of her strength and endurance, and prove the viability of this new therapy for thousands of other potential recipients—including injured soldiers returning from war. Jennifer's hopes for her autobiographical tale were three-fold. She wanted to inspire others to overcome the obstacles placed in front of them, to help people understand the commitment of participating in a clinical trial, and to spread awareness and understanding of the exciting world of neurotechnology. 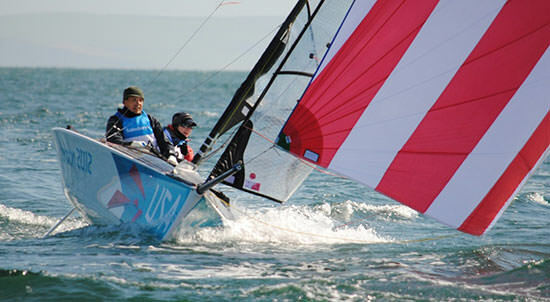 In the book, Jennifer also describes how the neurotechnology system she helped to perfect became a key factor in her conditioning and competition at the 2012 Paralympics Games in London, where she brought home a silver medal in sailing for Team USA. 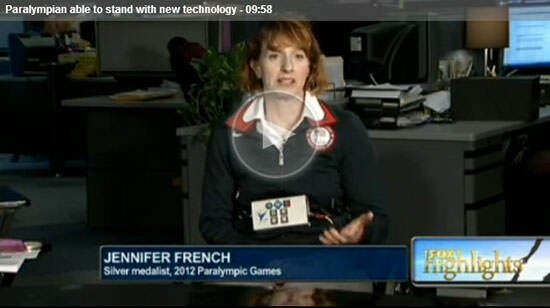 "It has been a big year for us and I'm happy to share this story and hope it will encourage others," said Jennifer. On My Feet Again: My Journey Out of the Wheelchair Using Neurotechnology is published by Neurotech Press and is available online from Amazon in print and eBook formats. Part of the proceeds from book sales will be donated to the Institute for Functional Recovery at Case Western Reserve University to develop new treatments for paralyzed people. To learn more about or to purchase On My Feet Again: My Journey Out of the Wheelchair Using Neurotechnology, visit www.OnMyFeetAgain.org.